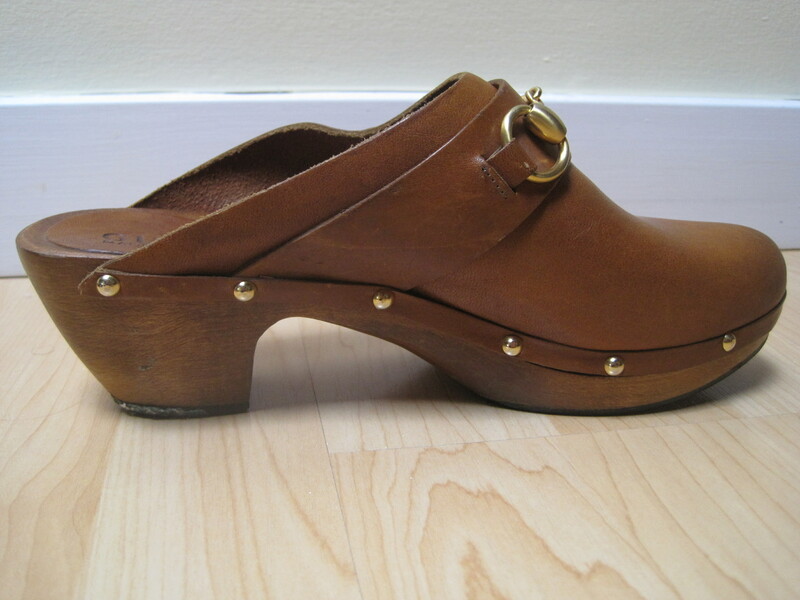 These amazing Gucci clogs are from the 70’s. Made in Italy. Popular horesebit detail. Very cool vintage Gucci! $19.99 – 30%! 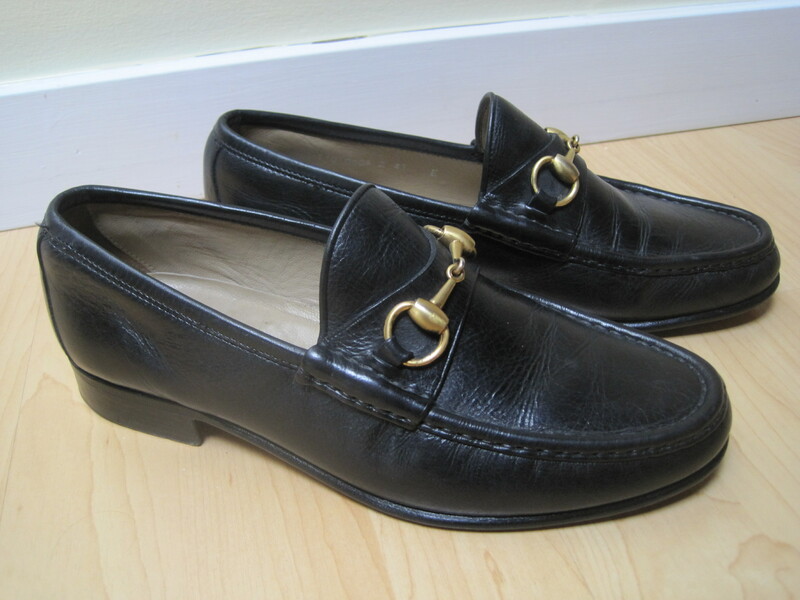 These men’s Gucci dress shoes also have popular horsebit detail. Similar to what Neiman Marcus has on their website now! Only we paid $25. Not $415! GAH! Lovin those Gucci clogs. GREAT find!